Each week, we will focus on a different social media platform. This week, it's Facebook. Link up your Facebook page, then go make Facebook CONNECTIONS with everyone else who's here! Hi Joy! Hope you are have a great weekend. Thanks for the social media party! Thank you so much for another 'social media weekly'. I have met already some very nice blogs, thanks! P.S. Lisa's link is not working, i'll find it, but maybe its good to link it again. Thanks for the party! 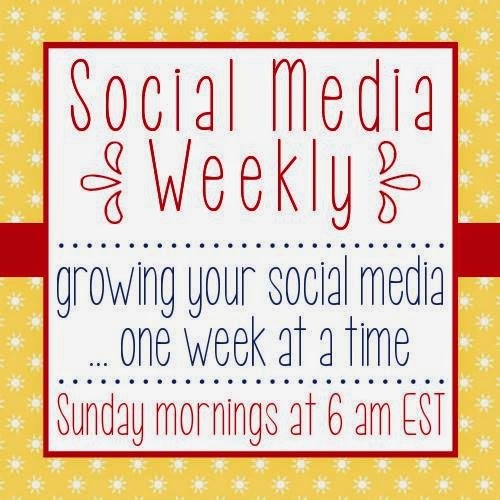 I've found so many great new blogs through these Social Media Weekly Party. It's so great for connections. Thanks for another awesome linky! Have a great weekend! Thanks for hosting! However, I noticed a lot of "Likes" coming from people's pages. and from what I understand, Facebook does not count those, it must come from a personal page. Silly, I know. Maybe next time you all host a Facebook link-up, you could make that note so everyone gets their true "likes."